Take a ride onboard the huge Avro Vulcan Bomber flown by Dave Johnson, UK Large Model Association (LMA) Chairman. After he gets in the air the Valiant and Victor bombers flown by his son and grandson, Andy and Adam, take off and catch up for some formation flying. This is a regular video containing 360 panoramic clips that have been animated to capture the optimum action. 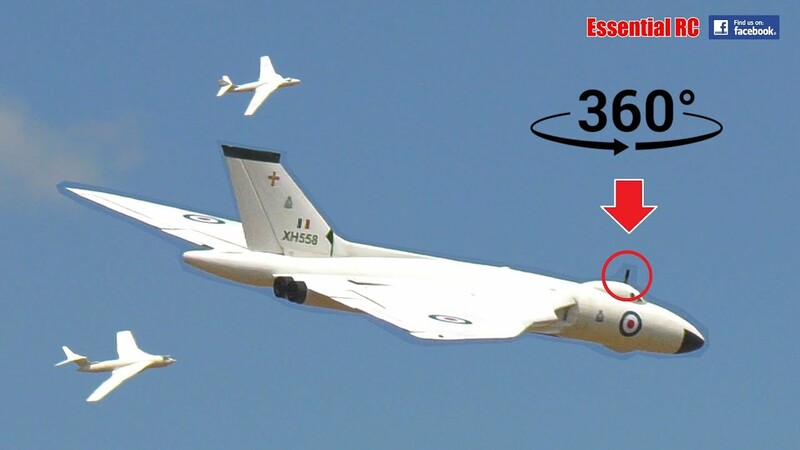 The Avro Vulcan is powered by four 100N turbine engines and has a 20 foot wingspan !